Serum-milk for ideal skin quality, 48 hours of continuous hydration and even skin tone. Skin feels smoother and appears more luminous. 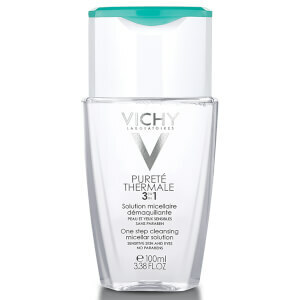 For the first time from Vichy, ingredients in face care now in body: Hyaluronic Acid and LHA with 10 essential oils provide firmer, smoother and more radiant skin. Allergy-tested. Suitable for sensitive skin. Tested under dermatological control. Paraben Free. Apply to skin that is slightly damp to boost hydration and the sensation of freshness. It is possible to dress immediately after application. Do not use on the face. Aqua / Water, Glycerin [10%], Isopropyl Palmitate, Alcohol Denat., Methyl Methacrylate Crosspolymer Loads, Isononyl Isononanoate, Pentaerythrityl Tetraethylhexanoate, Zea Mays Oil / Corn Oil Corn Oil, Tin Oxide Pearl Particles, Ci 15985 / Yellow 6, Ci 77891 / Titanium Dioxide Pearl Particles, Ci 77491 / Iron Oxides Pearl Particles, Mica Pearl Particles, Macadamia Ternifolia Seed Oil Macadamia Oil, Rosa Canina Fruit Oil Dog Rose Oil, Ribes Nigrum Oil / Black Currant Seed Oil Blackcurrant Seed Oil, Odium Polyacrylate Polymer, Helianthus Annuus Seed Oil / Sunflower Seed Oil Sunflower Oil, Sodium Hyaluronate Hyaluronic Acid [0.2%], Coriandrum Sativum Oil / Coriander Fruit Oil Coriander Oil, Simmondsia Chinensis Oil / Jojoba Seed Oil Jojoba Oil, Prunus Armeniaca Kernel Oil / Apricot Kernel Oil Apricot Kernel Oil, Ammonium Polyacryldimethyltauramide / Ammonium Polyacryloyldimethyl Taurate, Poloxamer 184, Capryloyl Salicylic Acid LHA [0.2%], Caprylyl Glycol, Passiflora Edulis Oil / Passiflora Edulis Seed Oil Passionflower Oil, Synthetic Fluorphlogopite Pearl Particles, Oryza Sativa Bran Oil / Rice Bran Oil Rice Bran Oil, Parfum / Fragrance.